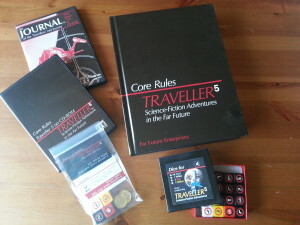 Finally the day arrived and today local customs (an about 60 km car drive away) handed over my gift from Marc Miller’s tremendous Traveller 5 Kickstarter Project. Two 25 Credit coins with Archduke Norris‘ face on one side. The coins feel like coins, not quite up to the heaviness of a 50 euro cent coin, but feeling consideraly more valuable than former GDR currency coins. 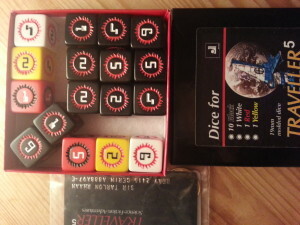 The dice are heavy and portray a good quality look and feel. The cards are nice, much like bonus cards from the local store. 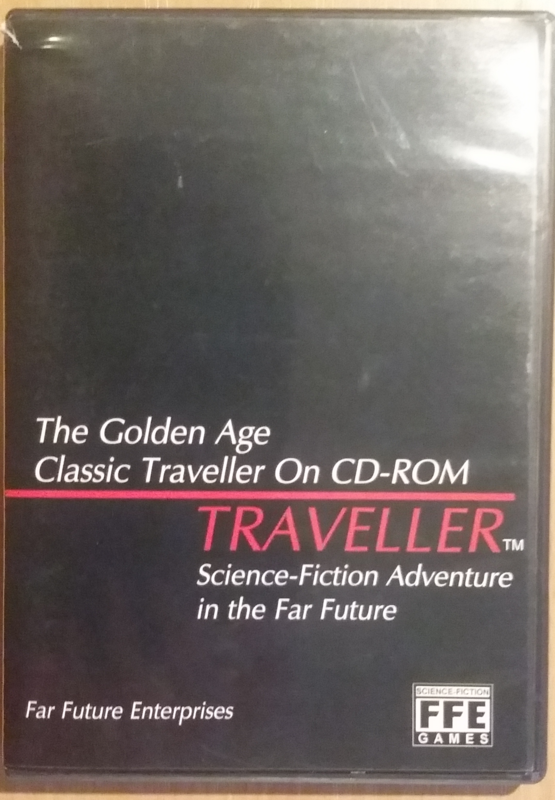 The CD-ROMs and Book are retail quality. All in all I’m happy with what I’ve got. If you ever wondered how to pack 17 dice into a box designed for 16, this is how I packed my dice box. Yesterday the postman handed a large envelope from FFE over. 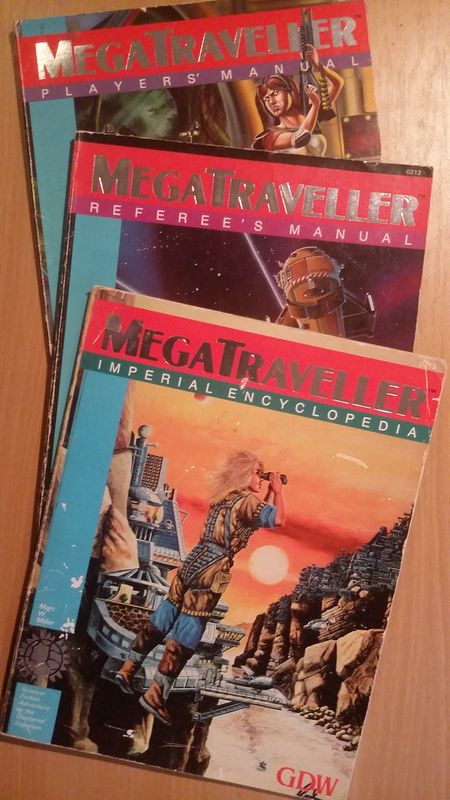 My Traveller Deckplans have arrived. Yay! 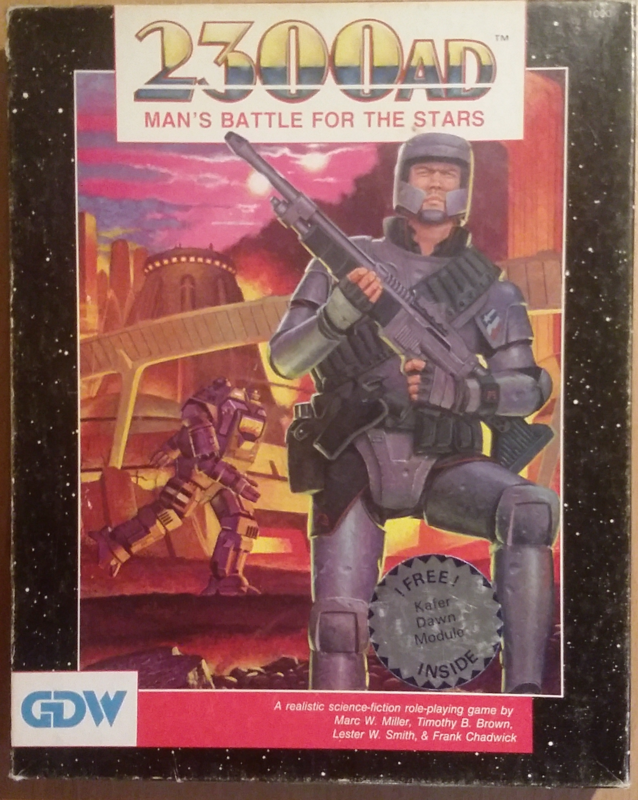 When Marc informed the KS-Backers that there is an option to upgrade to the full set, I did just that. Unfortunately I did it twice (no idea where I had my head that day). 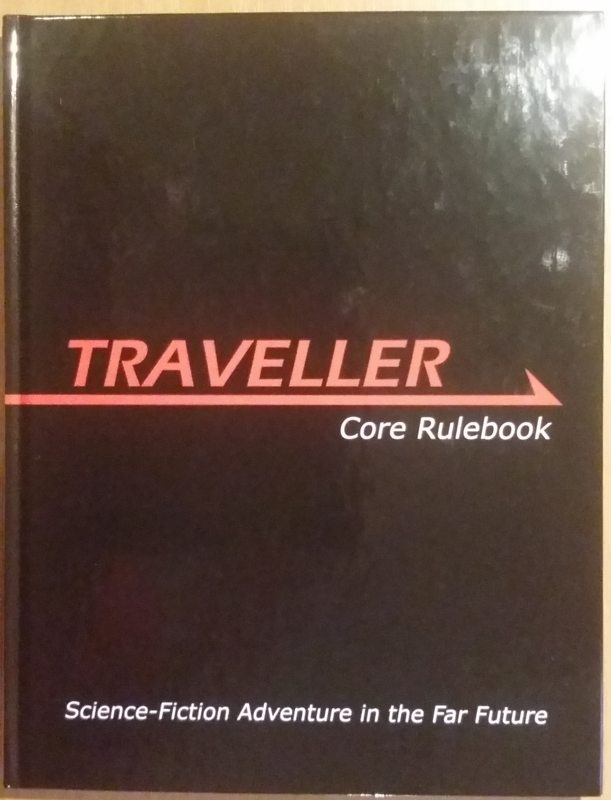 One full Traveller 5 Deckplan Set consisting of five ship plans plus a map of the spinward marches. Three more dice. One red, one yellow plus one Christmas Edition white die. One 25 Cr. coin with Archduke Norris head embossed on one side. 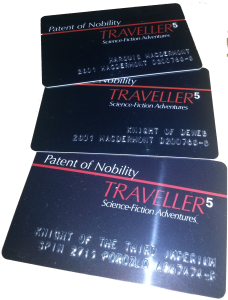 One Patent of Nobility Card for the title Knight of Deneb issued for 2801 MacDermont D200768-8. Nice. One Patent of Nobility Card for the title Marquis MacDermont issued for 2801 MacDermont D200768-8, that same world in the Trojan Reach Sector (Gazulin Subsector). Very cool. One Patent of Nobility Card for the title Knight of the Third Imperium issued for Spin 2715 Porozlo A867A74-B in the Spinward Marches Sector (Rhylanor Subsector), a high population world adjacent to Rhylanor itself. Cool. 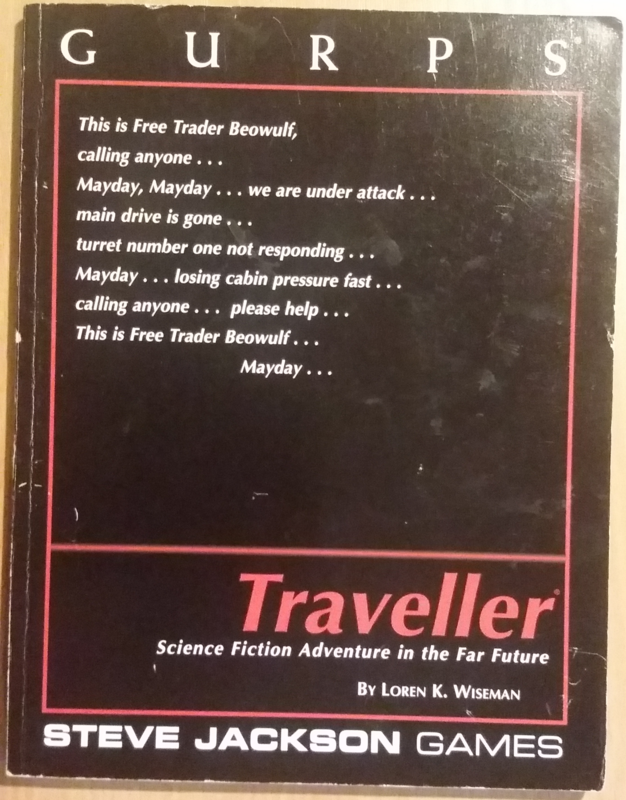 A PDF concerning Traveller Knighthood found on the web: http://www.traveller-tpp.com/PDFs/Knighthood.pdf‎ (Found on Traveller The Phoenix Project). 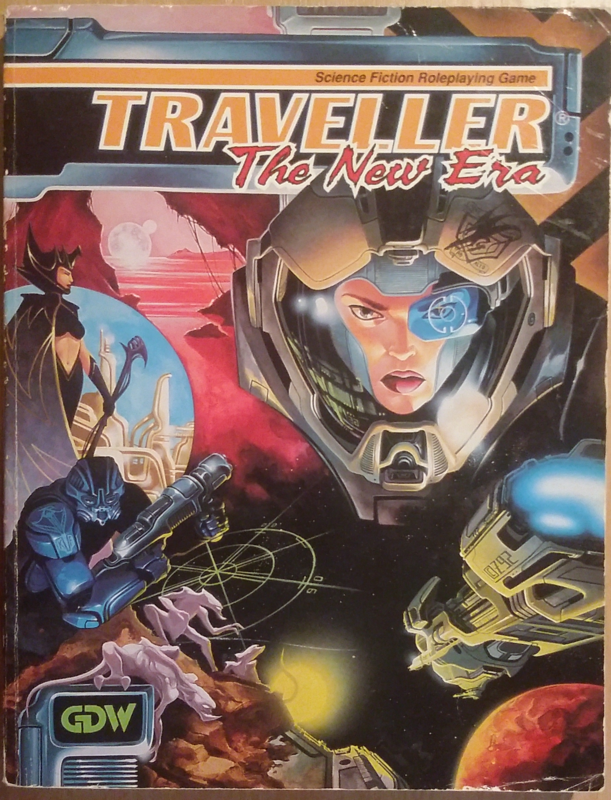 Other articles regarding Nobility in Traveller.